"Situation Management and the Electric Generation/Transmission Control Rooms"
The North American Electric Reliability Corporation (NERC) is a non-government organization which has statutory responsibility to regulate bulk power system users, owners, and operators through the adoption and enforcement of standards for fair, ethical and efficient practices. Achieving NERC CIP compliance and maintaining it, can be a daunting task for many organization. With the consequences for non-compliance both costly and risk increasing, the electric utilities industry faces significant challenges in ensuring and sustaining effective, efficient NERC CIP compliance. 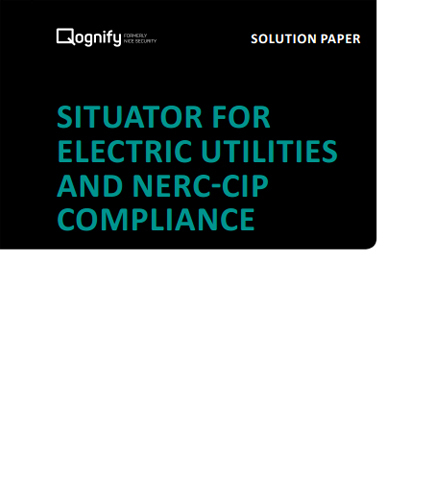 This white paper on “Situator for Electric utilities and NERC CIP Compliance” sees the aspects of the electric utilities industry’s operating environment and how you can comprehensively address the challenges of implementing NERC CIP standards around physical security and sustaining compliance. How to meet NERC CIP Personnel and Training requirements? How electric utilities are seeking ways to address challenges such as achieving and sustaining NERC CIP compliance? How to ensure compliance with NERC CIP regulations? How to get a complete view of the NERC CIP compliance status within the organization? utilities industry with Situator !